When will be Bonkers next episode air date? Is Bonkers renewed or cancelled? Where to countdown Bonkers air dates? Is Bonkers worth watching? In Hollywood, side by side with humans, there live cartoon characters known as "toons". These animal-like creatures possess amusing abilities that contradict laws of physics: they can challenge gravity, break into pieces when struck, get squashed when slammed by an anvil, swallow bombs, get frozen or burned without any damage. Toons use these abilities to entertain audience. However, Bonkers D. Bobcat, who used to be a comedy actor, has chosen another path. Now Hollywood can sleep peacefully, because the one and only toon cop is on the beat. Of course not all people like Bonkers' approach to crime fighting, especially when it comes to walking through imaginary doors, throwing cream pies or accelerating the squad car up to supersonic speed; but as long as toon methods are effective, Bonkers will maintain order in the city. Bonkers is a spin-off from He's Bonkers! (see Raw Toonage), a mini-series about the zany toon bobcat and his toon friends. 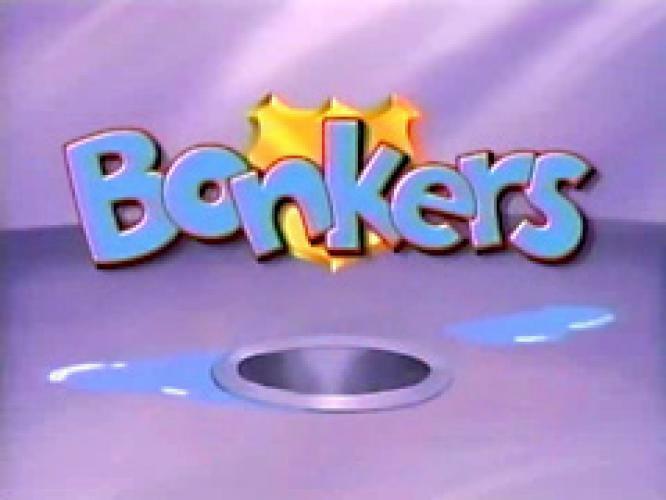 Despite the fiasco of Raw Toonage, Bonkers turned out popular enough to get his own series. The series splits into two independent subplots. The first one, produced by Duane Capizzi and Bob Hathcock, premiered on Disney Channel on February 28, 1993 and features Bonkers working in the Hollywood Police with a young girl named Miranda Wright as his partner and a middle-aged man named Francis Grating as his boss. The second (and final) subplot, produced by Robert Taylor, is logically set before the first one and explains how Bonkers became a cop, how he teamed up with Lucky Piquel (his first partner) and why Lucky was replaced with Miranda. The first subplot (seasons 2 and 4) consists of 19 episodes, the second one (seasons 1 and 3) lasts for 42, including the pilot two-parter "Going Bonkers" (premiered on Disney Channel on September 4, 1993) and the transitional episode "New Partners on the Block". Together with 4 blocks of short cartoons from He's Bonkers!, this makes a total of 65. EpisoDate.com is your TV show guide to Countdown Bonkers Episode Air Dates and to stay in touch with Bonkers next episode Air Date and your others favorite TV Shows. Add the shows you like to a "Watchlist" and let the site take it from there.